Losses widened in 2Q18 on expected loss from West Rigel disposal. Cut FY18-19F earnings to factor in lower margins and slower revenue recognition in 2019. Hopeful of large projects in 2H18 – Gravifloat, Seaone and Rosebank. Reiterate BUY; Target Price reduced to S$2.50. Maintain BUY and Target Price lowered to S$2.50, based on 2.1x contract wins next year. We have lowered our net profit forecast for FY18-19 from S$54-126m to S$16- 64m. We still like Sembcorp Marine (SMM) as the pure proxy to the recovery in the O&G and O&M sectors, with strong order wins as a catalyst. 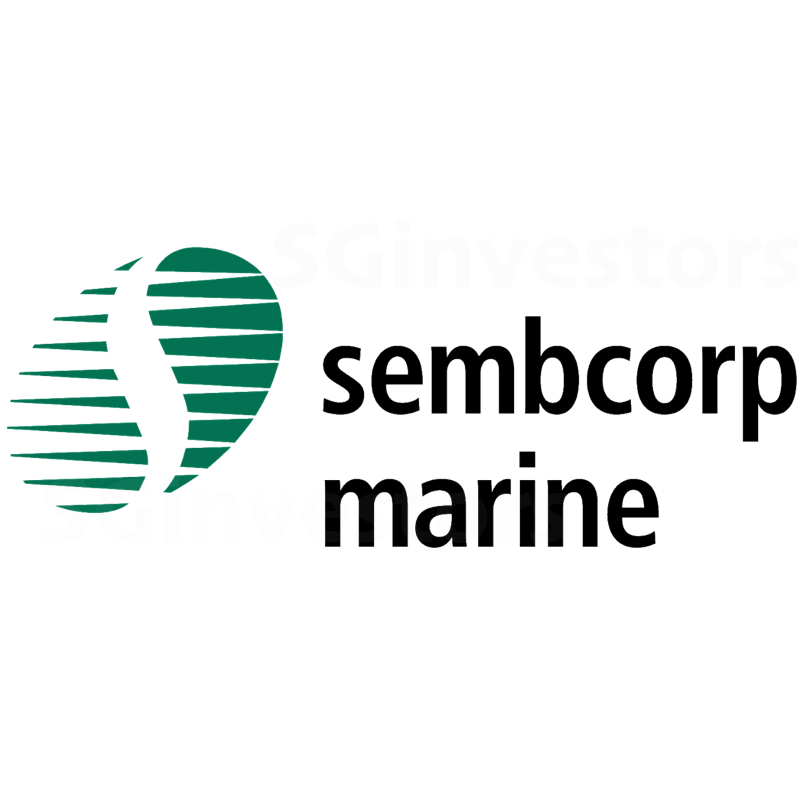 This should lift Sembcorp Marine’s share price closer to our current Target Price. Rosebank’s FPSO contract that could worth up to US$2bn. YTD, SMM has clinched S$730m in new orders. Reactivation of Sete Brasil rig orders. The landmark deal to sell nine jackup rigs to Borr Drilling, and the disposal of harsh environment semisubmersible rig West Rigel have eliminated the key concerns on Sembcorp Marine (SMM). The restructuring of customer Sete Brasil is also seemingly closer to a resolution, as Petrobras and Sete are reported to have struck a rig deal. Singapore rigbuilders are well-positioned to deliver two rigs each (which are in the advanced stages of construction) out of Sete Brasil’s existing 13 orders (c.S$1bn each). Our target price of S$2.50 is since 2004. Sembcorp Marine’s book value has already been written down after the massive S$609m provisions taken in FY15. Key downside risks are sustained low oil prices which would affect rig count and newbuilding activities, execution risks in new product types, and corruption allegations in Brazil that, if found guilty, could lead to financial and reputational loss. Upside risk could come from privatisation or M&A activities, as well as the write-back of provisions from successful deliveries or vessel sales. 2Q18 losses widened on expected losses for West Rigel sale. Excluding forex impact, Sembcorp Marine's net losses widened from ~S$30m in 1Q18 to ~S$50m in 2Q18 largely due to ~S$24m loss that was recorded for the disposal of semi-submersible rig - West Rigel - which was concluded in May-2018. Headline revenue grew S$572m (-13% y-o-y). In its outlook statement, management guided that offshore and marine sector continues to improve with more offshore production projects reaching their final investment decision (FID) stage and this trend is expected to continue. However, overall improvement and offshore capex will take time to translate to new orders, and in the meantime, Sembcorp Marine may continue to record operating losses based on the current low activity level. In view of the keener competition against global peers in Korea and China, Sembcorp Marine is enhancing its capability to provide solutions to customers, through R&D and acquisitions of IPs. Orderbook stood at S$7.27bn, as at June-2018, of which c.43% or S$3.2bn is from drillship projects with Sete Brasil. The order book should largely be recognised in the next two years. SMM secured S$730m new orders in 1H18. The contract value for Shell Vito’s Floating Production unit clinched in May-2018 was lower than expected at c.S$250m (vs our estimate of S$400m) as customer decided to procure some of the equipment themselves. Potential new contracts in the pipeline. Chevron is expected to award the contract for newbuild FPSO that could worth up to US$2bn for its Rosebank project off UK by 3Q18. Sembcorp Marine is competing against the other three Korean peers for the job. Net gearing inched up slightly to 1.26x, from 1.1x a quarter ago. Following the completion of West Rigel disposal, Sembcorp Marine collected a deposit of US$250m in 2Q18, of which half was paid to the original customer. Sembcorp Marine should collect the remaining 50% over the next 1 year. Headline losses amounted to S$50m in 1H18. We had expected Sembcorp Marine to be in the red for 1H18 but it seems like revenue and margin recovery will take longer than expected. There is also a lack of visibility for the write-back of cost overruns for disputed variation orders in 2017 (which we estimated to be around S$100m) as negotiations with customers continue. As such, we have lowered our EBIT margin by 1.4ppt in FY18 and pushed back revenue recognition in FY19 given the slow contract wins in 1H18. Our net profit forecast for FY18-19 is reduced from S$54-126m to S$16-64m.